Recommended for science teachers by science teachers. What is the science teaching library? 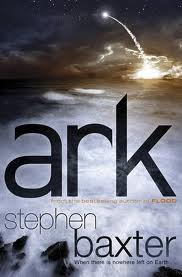 An epic tale of mankind’s destruction due to rising sea levels. The hope of survival is put in the hands of an ambitious project Ark which intends to send just a small number of survivors to a new home planet (Earth 2). The book is of course fiction, but the author includes reference material in appendices based on real theoretical ideas, such as exosolar planets, interstellar travel, generation ships. He also provides a narrative in the qualities needed, and the science and practicalities of space travel by human explorers. Planet Earth II - The revenge of the surf.